We are looking for a babysitter who would like to help us with our children. Experience and references are a plus. Please send me a message to discuss this job in more detail. A babysitter wanted in Mississauga for 1 child, babysitting in Mississauga. Right now looking for an ocassional babysitter for my 11 month old daughter. Need a permanent ... babysitter (from day to evening) for end of Jan as I am returning to work. Non smoking home with no - The preferred babysitting location is: At the babysitter's. Looking for a babysitter for Friday afternoon, 4 hours, from 11:15 - 3:15. Pick up at a Montessori school, to enjoy lunch and the park. Mandarin-English preference. Companies presently offering vacancies for Babysitter roles in Canada include Red Rover, .. There are 1,104 vacancies for Babysitter roles in Canada available immediately, compared to 437 in Ontario. 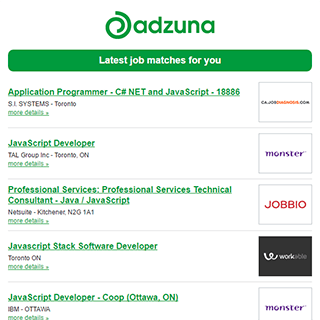 The Adzuna recency index score for this search is 1.03, suggesting that demand for vacancies for Babysitter roles in Canada is increasing. Get the latest Babysitter Jobs in Canada delivered straight to your inbox!